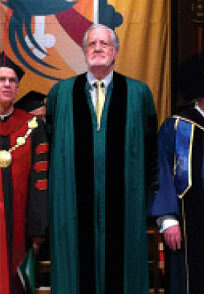 In May 2011, Joseph Cotchett was the commencement speaker for the University of San Francisco, where he also received an Honorary Doctorate of Humane Letters. In his commencement speech, he mentioned key factors on what it takes to be a successful person. He stated, “the first and most important is confidence. If you don’t have confidence, you will not succeed.” He was greeted by spouses, partners and family of the graduates, as well as the faculty of USF.